In a few days, the 3rd annual Swarm of Decor Hunt created by Earth Nirvana will open. With 23 designers bringing you the best in home & garden decor for only $7L, this hunt is sure to be a hit. 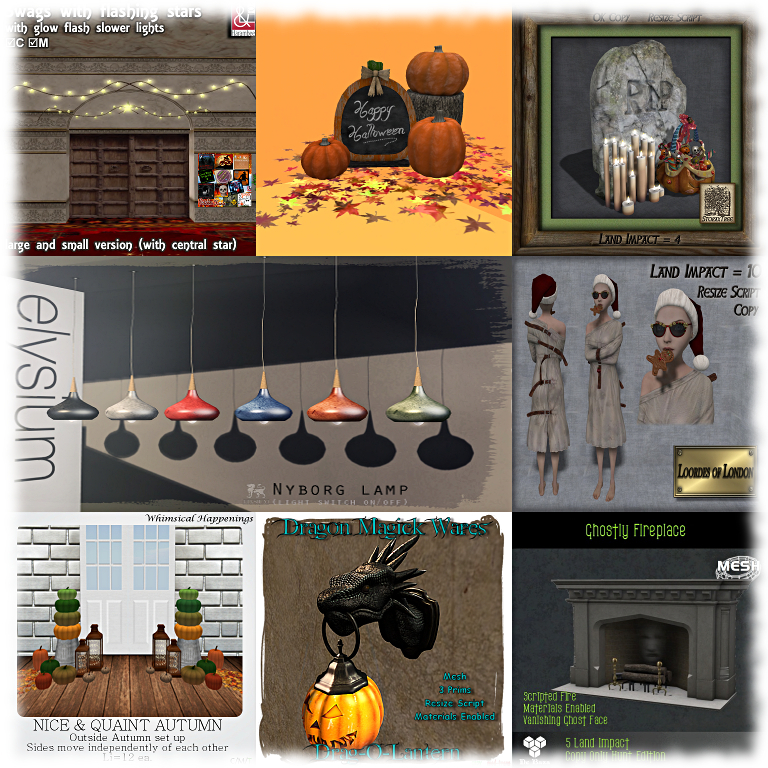 From October 3rd until closing 12 midnight slt, October 24th hunters will have the opportunity to grab some great gifts and vote for their favorite hunt designer. The winning designer will receive $500L! Check out a few of the fabulous gifts up for grabs. See https://4stores2behunted.wordpress.com/ for the full designer listing, locations, hints & poll. May the best creator win!